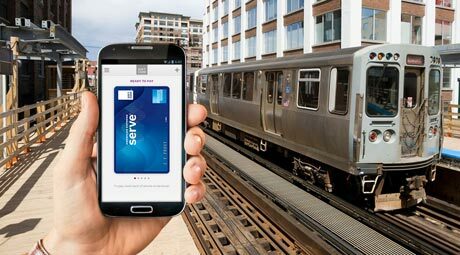 Users of Chicago Transit Authority (CTA) transportation services can now get half price journeys when they pay using the Serve prepaid card stored in their Softcard NFC mobile wallet. To take advantage of the offer, passengers launch the Softcard app and enter their PIN as they approach a turnstile or board a bus. They then select their American Express Serve card within the wallet as their payment method and touch their NFC phone “for one to two seconds” to the turnstile or to the card reader on their bus. The promotion runs until 31 December and applies to pay-as-you-go rides on CTA ‘L’ trains and buses as well as Pace buses, up to a maximum of US$25 per month in Serve credit.